LENIN'S TOMB: The "anti-totalitarian" left, and terrorised liberals. Neoconservatives and the pro-war left are not only united on their purblind support imperialism: they share a vocabulary, and a conceptual apparatus. Totalitarianism and the Enlightenment are among the favourite themes of the pro-war left. Increasingly, so is Islam. Eustonite Alan Johnson avers that every generation “has to re-discover anti-totalitarianism for itself”. (Alan Johnson, “No One Left Behind: Euston and the renewal of Social Democracy”, Normblog, 1st June, 2006). Jeffrey Herf et al. signed the manifesto because “radical Islamism” is “the third major form of totalitarian ideology of the last century, after fascism and Nazism, on the one hand, and Communism, on the other”. (Jeffrey Herf et al., “American Liberalism and the Euston Manifesto”, Euston Manifesto, 12th September 2006). Francis Wheen embraces a fetishism of unproblematised Enlightenment, and he has taken the trouble to upbraid Adorno & Horkheimer for having blamed modernity’s ills on the Enlightenment and not grasping its contribution to the norms that condemned Nazi atrocities. Evidently, he did not get all the way through the first page of Dialectic of Enlightenment, in which the authors write that “social freedom is inseparable from enlightened thought”. He cites Spinoza and Kant, opposing received ideas and daring readers to know, and yet seems curiously open to received ideas himself (not least in the dishonest diatribe about Noam Chomsky). He raises the spectre of messianism, starting with 1979 as the moment when Iran's revolution and Thatcher's election brought new forms of "Mumbo-Jumbo" to town, accompanied by a postmodernist attack on reason. The conflict between the Iranian revolution and the Thatcher revolution, "more apparent than real" culminated for Wheen in the twin tower attacks. Conflating the political Islam of Khomeini with that of bin Laden is problematic for various reasons, but coherence is not Wheen's strong point: hence, he advises us that Khomeini wished to return Iran to "medieval" times, yet mocks the notion that political Islam is a medieval doctrine, noting that it is rooted in modernity. (Francis Wheen, How Mumbo-jumbo Conquered the World: A Short History of Modern Delusions, Fourth Estate, London, 2004; Theodor W Adorno & Max Horkheimer, Dialectic of Enlightenment, Verso, London, 2002). The fairly straightforward technique of making distinctions, something advocates of the Enlightenment and even their precedents have been known for, is no longer in demand when discussing Islam. 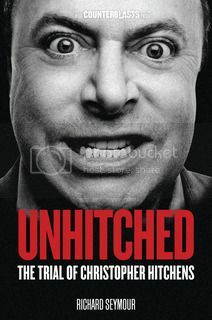 For Hitchens, it is the Enlightenment that Al Qaeda are after: in a phrase, they hate our scientific enquiry. (Christopher Hitchens, "Against Rationalization: Minority Report", The Nation, 8th October, 2001). The Euston Manifesto defends what signatory Eve Garrard calls “Enlightenment values”, and among other glittering generalities echoes the “great rallying calls of the democratic revolutions of the eighteenth century” (Eve Garrard, “Lipstick and Enlightenment”, Normblog, 18th June 2006; “Statement of Principles”, The Euston Manifesto, 29th March 2006). The problem with this isn’t, as John Gray imagines, that Enlightenment values had a “seamy side”, or that the zealous pursuit of such values can undermine the prospects for a modus vivendi because these values can issue incompatible demands. It is that their invocation is in this instance utterly vapid, self-congratulatory and platitudinous, providing a patina for score-settling on the part of those who fear and loathe the enormous success of the Stop the War Coalition. (John Gray, “Ideas: Beyond good and evil”, New Statesman, 19th June 2006; John Gray, Two Faces of Liberalism, Polity, London, 2000). Martin Amis, like his friend Hitchens, makes the link between Enlightenment and his hostility to Islam explicit. We've been introduced to his retinue of received ideas before, and needn't trouble ourselves over them again. Sam Harris, in a book purportedly celebrating the values of Enlightenment as against religion, singles out Islam for particular opprobrium. While Christianity has apparently passed through its most repressive phrase, he writes of Islam that “the basic thrust of the doctrine is undeniable: convert, subjugate, or kill unbelievers; kill apostates; and conquer the world”. Further, the West is at “war with Islam … with precisely the vision of life that is prescribed to all Muslims in the Koran”. Writing about the Danish ‘cartoons’ controversy, he wrote: “’Muslim extremism’ is not extreme among Muslims. Mainstream Islam itself represents an extremist rejection of intellectual honesty, gender equality, secular politics and genuine pluralism.” Further, “Muslims intentionally murder noncombatants, while we and the Israelis (as a rule) seek to avoid doing so”. Co-existence is simply implausible in Harris’s account, which owes much to Samuel Huntington’s ‘clash of the civilisations’ thesis. Yet, with 1 billion Muslims in the world, the wonder is that the vast preponderance of them have thus far decided against converting, subjugating and killing unbelievers and apostates. Nevertheless, it is because of the omnipresent threat of Islam that Harris supports the war on Iraq and the use of torture against prisoners (citing arguments developed by Alan Dershowitz). (Sam Harris, The End of Faith: Religion, Terror and the Future of Reason, Norton, New York, 2004; Sam Harris, “In Defense of Torture”, The Huffington Post, 17th October 2005; Sam Harris, “Sam Harris on The Reality of Islam”, Truthdig, 7th February 2006; Sam Harris, “Head-in-the-Sand Liberals: Western civilization really is at risk from Muslim extremists”, Los Angeles Times, 18th September 2006). Yet those tropes are familiar today. It was, of course, the collapse of that “anti-totalitarian” consensus brought about by mass opposition to the Vietnam war that produced the neoconservative reaction, whose patron saint, the right-wing Democrat Henry Jackson, is still a hero for today’s liberal imperialism. In an analogous development, the massive antiwar movement produced by the invasion and occupation of Iraq led to the formation of Britain’s own Henry Jackson Society, supported by both Labour and Tory MPs as well as senior military figures and a few columnists, and whose ‘manifesto’ has recently been published by the Social Affairs Unit. (The British Moment: The Case for Democratic Geopolitics in the Twenty-First Century, A Manifesto of the Henry Jackson Society, Social Affairs Unit, London, 2006). And while the isolation of communism after the 1930s led many Trotskyists, such as Max Shachtman, to and support imperialism in Cuba and Vietnam, by the same token, the collapse of the revolutionary left in the 1970s led many activists to embrace “anti-totalitarianism” and scuttle into the fold of NATO. Nowhere was this more so than in France, where ultra-left critiques of the PCF gradually lent themselves to lesser-evilism and accommodation with the Socialist Party, under hysterical anti-marxist crusades led by Francois Furet and Andre Glucksmann. 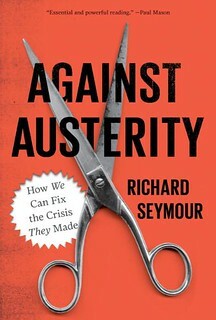 (See, for instance, Michael Scott Christofferson, French Intellectuals Against the Left: The Antitotalitarian Moment of the 1970s, New York and Oxford, Berghahn Books, 2004). Among descendants of the Maoist left to embrace "antitotalitarianism" and thenceforth humanitarian imperialism was Bernard Kouchner, who founded Medicin Sans Frontiers, served in the Mitterand government in 1992-3, went on to become the UN’s proconsul in Kosovo, and argued in favour of war on Iraq. (Alvin Powell, “Kouchner: Iraqi voices remain unheard: People are the silent players amid all the talk”, Harvard University Gazette, 20th March 2003). Kouchner, understandably, is Paul Berman’s political hero, exemplifying the “anti-totalitarian” politics that he espouses. In the hands of Paul Berman, the ‘liberal hawk’, it is whoever might be considered an enemy of the US today. It is necessary to say a word or two about Berman’s style. At no point is one exposed to anything so impersonal as logic. It is not in his nature to make a political argument: rather, he makes his points by way of anecdote, loose association and an invitation to feel much as he does about the things he describes. Hence, he tells is in Power an the Idealists about how mean Edward Said was to Kanan Makiya, and how nice it was that some 1968ers abandoned anti-Zionism, and so on. He complains that it took the 9/11 attacks to “reopen the public discussion of totalitarianism in the Muslim world”, which includes Ba’athism and “Islamic fundamentalism”, but not imperialism or Zionism, for instance. Ironically, Berman cluelessly cites Hannah Arendt’s The Origins of Totalitarianism, without noticing that a substantial part of the book argued that imperialism was a crucial ingredient in twentieth century totalitarianism, or that she had been repelled by the “totalitarian methods” of Zionism against the Palestinians. The least connection that can be asserted between the Muslim Brothers or Michel Aflaq and the Nazis is milked for all it is worth, while the fairly extensive involvement of the US imperialism in supporting fascism leaves its “noble intentions”, which Berman knows any “sophisticated” observer must grant the US, intact. At no point does Berman give any hint that there is anything fundamentally wrong with American imperialism, and so the “totalitarians”, by miraculous coincidence, are all enemies of the US government. 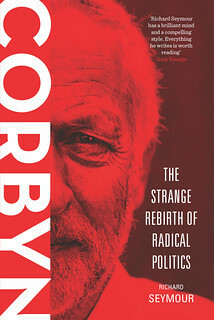 Similarly in Terror and Liberalism, we are led to believe that the totalising gesture is inherent in marxism, fascism and Qutb's version of political Islam - on the grounds, for instance, that Qutb praised the notion of tawhid, while George Lukacs upheld the "primacy of the category of totality" as what distinguished marxist from bourgeois thought. The concept of tawhid does not, at any rate, translate as totality, (it literally translates as 'monotheism'), but the gesture of tracing 'totalitarianism' back to the tainted philosophical sources is orthodox "anti-totalitarian" liberalism. Berman goes on to cite Qutb's appeal to the unity of religion and society as an instance of the totalising movement, in contrast with liberalism which insists on pluralism and a polyglot society. This bears only the most superficial resemblance with Hitler's call for a racially homogenous society unified under a fanatically nationalist movement led by a great personality (his emphasis on individual "genius" was not one that Qutb would have approved of, nor would Hitler have approved of Qutb's view that Christianity had gone astray by moving too far from the Judaic scriptures). And at any rate, this prescriptive 'totalising' is substantially different from marxism's appeal to totality as an analytical device. Of course, in Berman's view, Hegel is to blame for much of this. We all know about marxism and Hegel, and it is implied (as almost everything else is) that he inspired Qutb's Arab nationalism. Berman doesn't like Hegel, as he doesn't like God, as he detests Chomsky's rationalism: not everything is "rationally explicable", and "no single logic rules the world". It is ironic that what this "anti-totalitarian" despises most of all is the universalist appeal to reason, since in his view America's enemies are not "rationally explicable". Having thus united fascism, communism and political Islam under the rubric of 'totalitarianism', the rhetoric of appeasement is simple enough: "good-hearted" 1930s liberals "sneered" at Stalin's victims, while the Paul-Fauristes, s group of socialists in Leon Blum's Popular Front, was not altogether eager for war. Paul Faure rallied to Vichy in 1940, and now (it is implied, again), there are liberals who want to be bin Laden's best mate. Curiously, Berman does not notice that Paul Faure was an anti-communist centrist like him. Trotsky, who was not, had a rather different attitude to the threat of fascism, but sadly it did not involve becoming a cheerleader for imperialism. Even the US-supported Iraqi invasion of Iran in the 1980s is taken as an occasion to insult the left - where were they, Berman wants to know, when this catastrophe was happening? Most of them, since he asks, were protesting against the Western policy of providing armaments, funding, diplomatic support and intelligence to Saddam Hussein. (Paul Berman, Terror and Liberalism, Norton, London & New York, 2003). 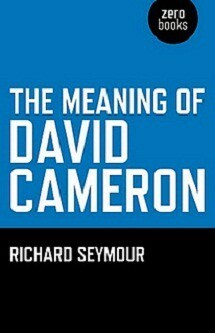 A quick word about Nick Cohen's citation of this ridiculously over-praised book. Cohen has it that reading it brought on a minor ephiphany: "He convinced me I'd wasted a great deal of time looking through the wrong end of the telescope. I was going to have to turn it round and see the world afresh." (“Writer’s Choice 5: Nick Cohen”, Normblog, 5th July 2005). 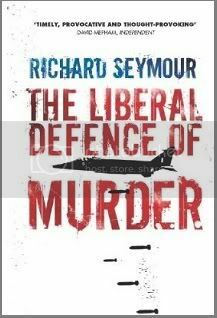 This book was the inspiration, allegedly, for his conversion to the 'war on terror'. It won't wash: the book was published in April 2003, more than a year after Nick Cohen began beating the drum for an invasion of Iraq, and several years after he had stridently supported the 1999 war on Yugoslavia. It was his opposition to the war on Afghanistan, not his subsequent support for the war on Iraq, that was a deviation. One of the weaknesses of the 'totalitarianism' thesis has always been its availability for manipulation: it is, as Domenico Losurdo writes, a ‘polysemous category’, possessing several distinct meanings. It refers to ideologies, movements, states – whatever you like – and can embrace a critique of imperialism, or not. 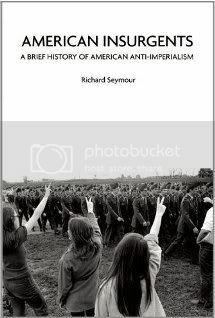 It can even be a criticism of anti-imperialism - hence, John Lloyd complains about the “totalising critique” of US imperialism (John Lloyd, “How anti-Americanism betrays the left”, The Observer, 17th March 2002). Its inclusions and exclusions depend on what kind of discourse it is embedded in. As a method of comparative analysis, it has been used by some sociologists and historians to point to similarities in the mode of rule of Stalinism and Nazism, and the total claim those states made on the lives of subjects. Yet, these similarities tend to be superficial, operating in quite different contexts to quite different ends, and the comparative model is weakened by its teleological tendency to take for granted the end product of a movement before examining its origins. (For instance, this criticism is made by Hans Mommsen, cited in Ian Kershaw, The Nazi Dictatorship: Problems and Perspectives of Interpretation, Fourth Edition, Arnold, London, 2000, p 39). In its more common, ideological, useage, it is a metaphor for Original Sin, locating a direct and unbroken tradition from the poisoned ideological sources of left and right-wing organicisms to the extremist political movements of the 20th Century and the regimes that ensued. This does not so much synthesise as liquefy, blending the concrete and distinct into puree of abstractions, into 'liquid terror' if you like. It is a confection produced and conserved by those who hate our freedoms, a form of intellectual terrorism that refuses to discriminate, an inducement to appease evildoers who promise to protect one from fear. Like most 'totalitarian' doctrines, it relieves one of the duty to think, allows one to return to received ideas, to retreat into what Kant called "immaturity" - the cowardly refusal to use one's own understanding without guidance from another. Its various manifestos, creeds, declarations and tomes are so many overwrought notes from blackmailers, and those who receive them gladly, who gratefully forfeit their probity and consistency, are no friends of Enlightenment.